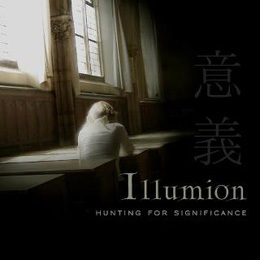 Behind the moniker Illumion lies anew group devoted to symphonic rock. Driven by the guitarist Eveline van Kampen, the combo presents us eleven songs whose texts I am stuck from books or historical deads reread in romanticized key. The result is a disc that gets to full hands from bands like Ayreon and Stream Of Passion (above all in the vocal parts). The musical part is also of good level, except for the songwriting that is more of flat effects, little incisive and little imaginative. Well it seems to be opposite to a cover cd rather that to new and original compositions. It's not enough, in fact, to use folkloristici tools to obtain the novelty effect hoped; It's necessary to put in more of engagement in the creation phase of the pieces to create something that gets indelibly printed in the mind of the listeners. Here unfortunately it there is not.